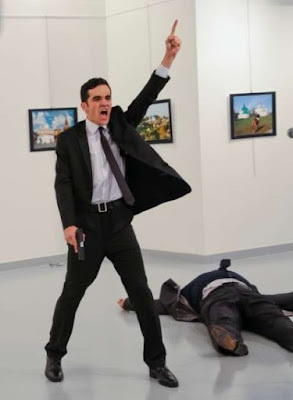 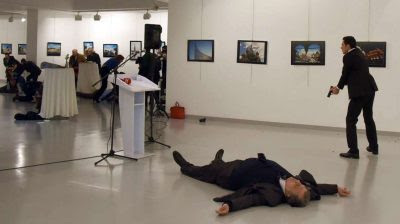 A Turkish policeman assasinated Russia's ambassador to Turkey yesterday ranting "We die in Aleppo you die here". 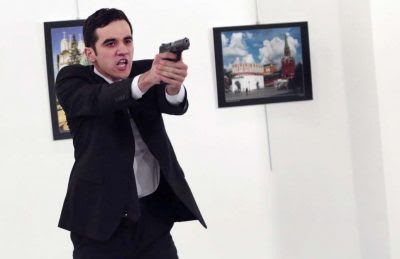 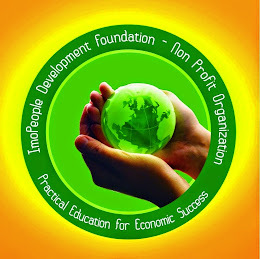 The assasination has received global condemnation sparking fears of international crisis. 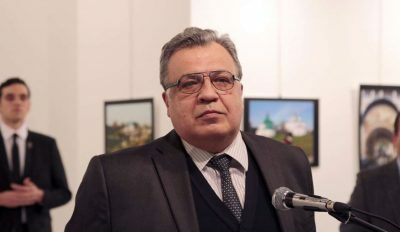 The late Russian Ambassador to Turkey speaking at an art exhibition launch in Ankara, Turkey capital before the shooting.